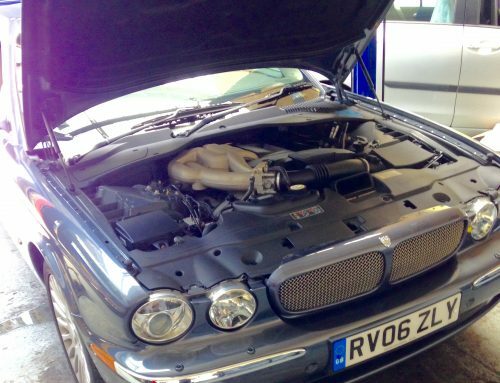 In for repair this week was a Jaguar S-type with no cold air from one side of the dual climate control system. 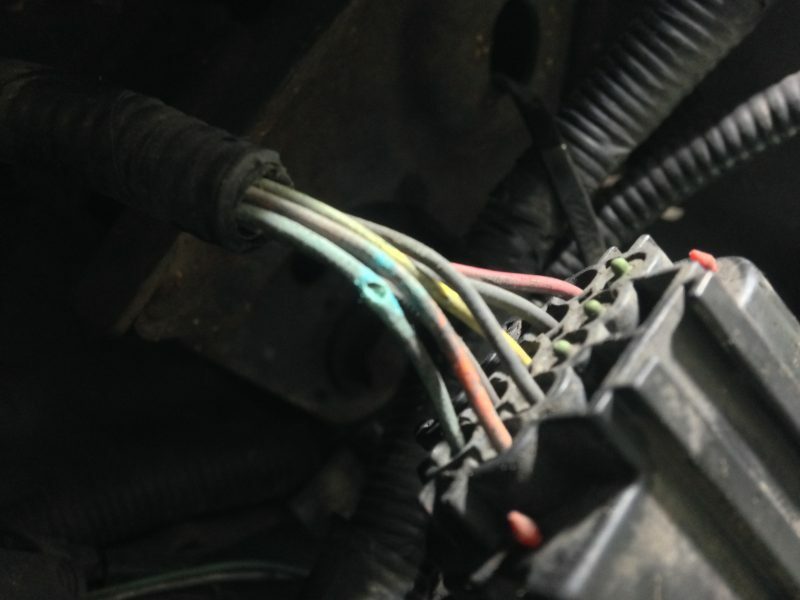 As some work had previously been done to this vehicle by the owner which included replacing the dual climate control valve and the climate control module to no avail this really only left the wiring to be the cause of the fault. The Brown and White wire to the control valve was found to be open circuit. After stripping back the insulation around the wiring harness at the bottom of the radiator a break was identified. Wire repaired = Cold air from both sides of heater = Happy customer. 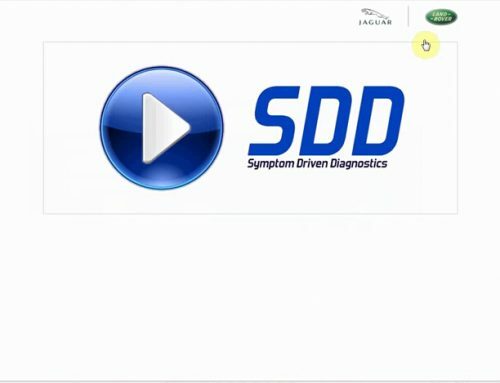 By Paul Titheradge|2017-12-21T10:59:29+00:00March 29th, 2017|jaguar repair, Jaguar repair Swindon, Jaguar Repairs and Servicing Swindon, Jaguar service Swindon, jaguar wiring fault, Mike Allen Servicing, S-type climate control, stype heater issue, swindon jaguar, Wiltshire Jaguar|Comments Off on S-type heater blowing hot air. 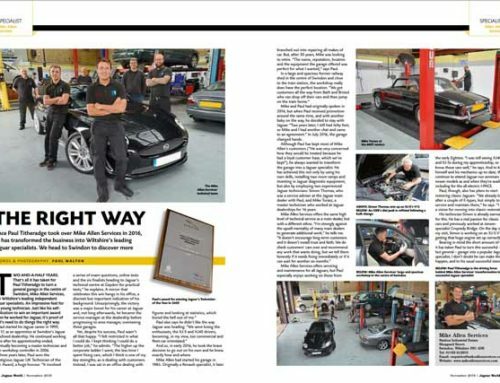 Paul Titheradge was officially crowned Master Technician of the year by Jaguar Cars at Grange Jaguar Swindon. Paul started with the company at the age of sixteen as an apprentice technician. He progressed through to Master Technician, Workshop Controller and Assistant Service Manager. Paul has worked with Jaguar cars in Swindon for over 17 years. Coming from a main dealer background where he completed his apprenticeship, for the last 8 years Paul has been the Service Manager of one of the most successful Jaguar Dealerships in the UK. 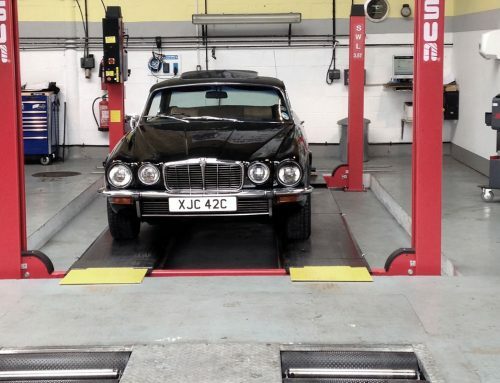 Wiltshire Jaguar Centre was in formed in 2016 by Jaguar master technician and award winning technician Paul Titheradge . 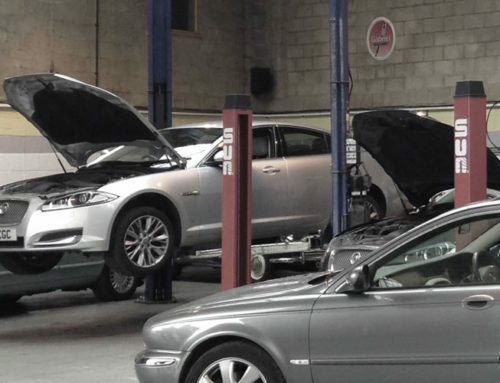 Paul and his team provide the expertise and care of your Jaguar car without the costs associated with visiting a main dealer.